Everything you need made purely simple. Everything you need is captured and taken care of. From ‘getting ready’ photos, optional bridal, portraits, and newly-wed photos, to your first dance. 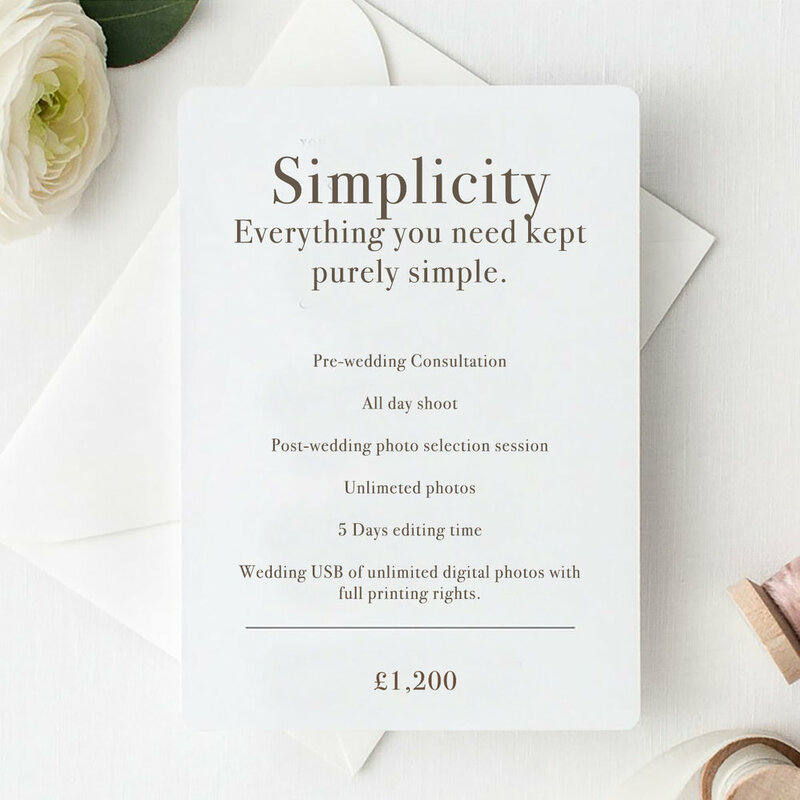 You’ll choose and receive an unlimited amount of images, all fully edited, and presented on a wedding USB with full editing and printing rights. 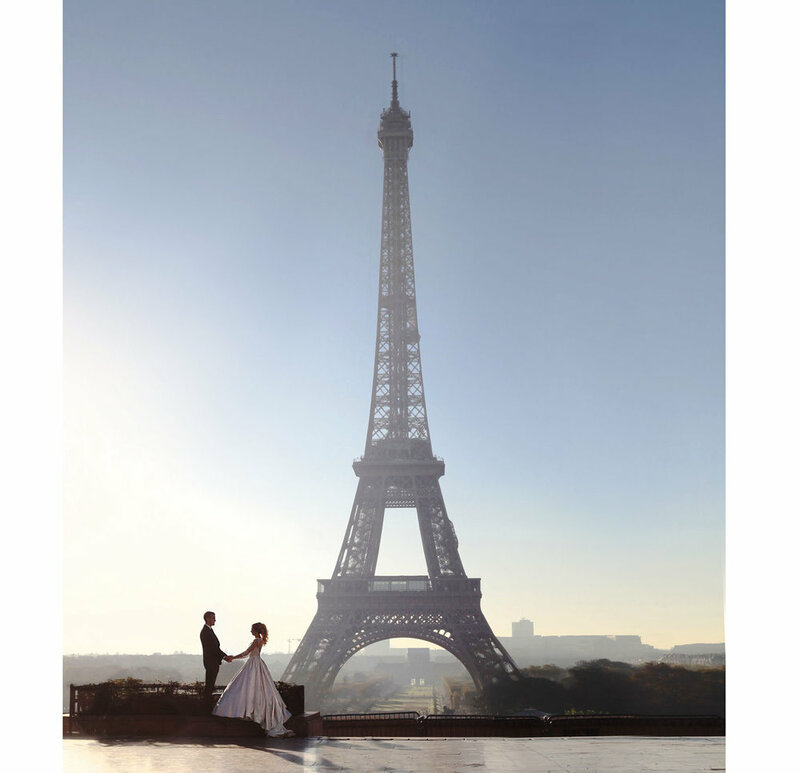 Everything on the big day will be captured tastefully, with authenticity, and beautifully. This package has 100% positive feedback from anyone I’ve worked with. We will have a face-to-face consultation, so I’m able to get to know yourselves and learn about your closest friends and family before the big day. I aim for truth and beauty so I like to understand a little bit about your personality and background. I like to gauge your personalities in a casual environment, and like to build trust, in order to get to know each other equally. This helps me when I’m capturing the meaningful moments on the big day. Whether you’re looking for a playful tone, or a more sobering tale of lessons and love, it’s my prerogative to tailor the visuals to your taste. During ‘the morning of’, I’m happy to travel between the bridal and groom’s parties to photograph both sides of the all-important getting ready moments. Your wedding will be documented all day long and we can make an effort to catch convenient moments aside to capture some more intimate photos for the frame. I will follow the day, as it unfolds right up until the first dance, no matter what time the celebrations begin. You will have the opportunity to look through every single wedding photo and select an unlimited amount of your favourites. They will be individually and professionally edited, no matter how many you choose, and I will aim to have the photos in your hands within a week. You’ll receive a wedding USB with all your photos and full printing rights. This package comes with no additional costs or fees; it is created for simplicity and allows you the confidence that everything is captured naturally and stylishly.